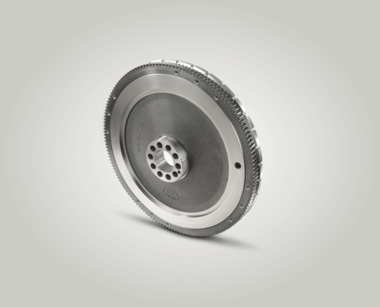 Flywheels are produced from grey cast iron or steel and form a friction lock between the crankshaft and the drive train via the clutch. 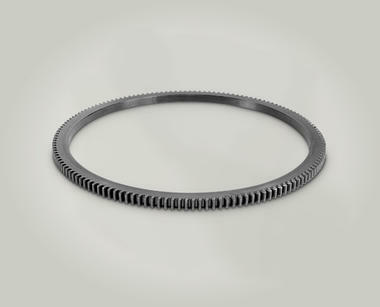 The main function of the flywheel is to compensate for rotational irregularities of the crankshaft. This helps to drastically reduce the transfer of engine vibrations to the drive train. Dual mass flywheels feature two components – the flywheel itself and a torsional vibration damper. The vibration damper absorbs and dampens torsional vibration, thus reducing the resonance in the gearbox and drive train. 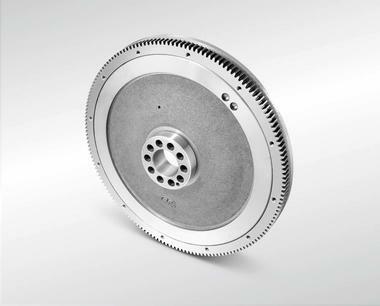 Other tasks of the flywheel include accommodating the clutch with drive plate and pressure plate. The starter motor for starting the engine is connected via the external shrunk-on ring gear. Some flywheels are notched as this helps with the adjustment of the injection system. 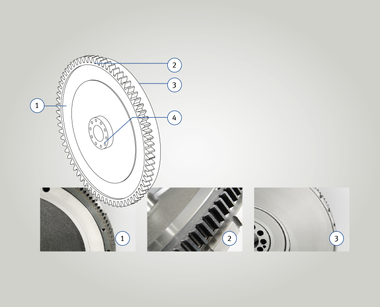 By storing kinetic energy, flywheels help to compensate for uneven running and vibrations in engine operation. The flywheel mass is divided into primary and secondary mass. The two masses are linked by torsion damping springs. 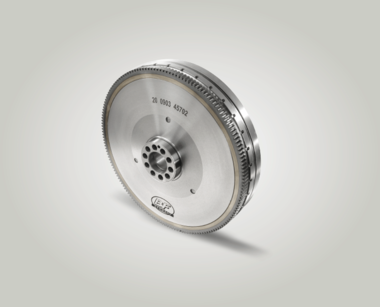 The dual mass flywheel demonstrates excellent vibration damping capabilities and impresses in every aspect. The ring gear transfers the force of the starter to the crankshaft via the flywheel. This initiates the start procedure of the engine. On older engine types, the ring gear also has the task of communicating the TDC position to the engine control via the TDC sender. It is also used for setting the control times.